New Hand Hygiene Compliance System further demonstrates The Medical City’s leading-edge accredited healthcare operations are truly unmatched in Southeast Asia. (Pasig City, Metro Manila, Philippines – January 9,2013) –The Medical City (TMC), one of the leading JCI accredited healthcare organizations in the world, has announced the successful deployment of a location-enabled, real-time hand hygiene compliance tracking solution. Adhering to the World Health Organization (WHO) five moments for hand hygiene is widely accepted as the best way to reduce hospital-acquired infections (HAIs). However, sustaining hand hygiene compliance among healthcare workers has remained elusive in many healthcare facilities, primarily due to the lack of real-time monitoring and corrective action. TMC has now established a reliable and sustainable solution to increase compliance of the facility’s hand hygiene protocols through the use of a world-class Real-Time Hospital Measurement System™(RTHMS™). Excelion Technology Inc. (Mississauga,ON, CAN) and CenTrak®, Inc. (Newtown, PA, USA), empowered The Medical City totripleitshand hygiene compliance bythethirdmonth of the 22-bed ICU project. As a result, hospital acquired infections (HAIs) in the ICUdecreased by48% compared to the same period the previous year. Furthermore,TMC experienced significant reductions to average length of patient stay (LOS). These accomplishmentswere achieved by deploying Excelion’s Real-Time Hospital Measurement System™(RTHMS™). The Real-Time Hospital Measurement System™combinesExcelion’s proprietary Accreditrack™ software with Lean process transformationconsulting andreal-time locating technology. Hand hygiene compliance is measured by using the WHO hand hygiene guidelines.TMC adherence to WHO protocols can now be tracked, aggregated and displayedin real-time through theAccreditrack™ software suite.Hand hygiene events are measured using CenTrak’s Second Generation Infrared (Gen2IR™) tags worn by caregivers, and the information is relayed wirelessly to the Accreditrack™ system for real-time analysis. If a caregiver misses a hand hygiene opportunity, the caregiver is immediately reminded by an audible alert on their tag. To ensure successful and sustainable culturalchange, Excelion also implements Lean Healthcare methodology to map and transformTMC’s hand hygiene compliance procedures for improved outcomes. “The Medical City is extremely proud to have installed the most advanced technologies to ensure the safety of all of our patients and staff members. Not only do we offer world-class facilities, cutting-edgeequipment, distinguished medical staff and rigorous patient care processes, but we can now demonstrate our support for improved patient safety initiatives, such as protecting patients and staff from hospital acquired infections (HAIs)”, saidDr. Jose Acuin, Medical Quality Improvement Director, The Medical City. “This, indeed, further strengthens The Medical City’s stature as a medical destination of choice in the Philippines,”he added. “The installation is a remarkable accomplishment for Excelion Technology. Without the full support of The Medical City team, we could not have delivered this best-in-class enterprise hand hygiene compliance solution. CenTrak’s patented Gen2IR location infrastructure served as the backbone for our Real-Time Hospital Measurement System™.We selected CenTrak because of its industry-leading accuracy, performance and battery life. We are looking forward to leveraging our success to deploy Lean healthcare initiatives in other areas at The Medical City. Together with the Hospital, we are already installing our Real-Time Hospital Measurement System™ in TMC’s Acute Care Stroke Unit (ACSU) as the next phase of our largerinfection control solution,” said Nestor Cruz, CEO, Excelion Technology. The Medical City (TMC) is a tertiary care hospital in the Philippines with over forty years of experience in hospital operation and administration. Its world-class health care complex in Ortigas Avenue, Pasig Cityannually serves some 40,000 in-patients and 400,000 out-patients from the Philippines and other countries. TMC has a medical staff of over 1,000 physicians who are established experts in their various fields of specialization and by some 2,200– strong allied medical, administrative and support services.The Ortigas hospital serves as a hub for 17 satellite outpatient clinics and 4 other hospitals in the provinces and Guam. As a healthcare innovator and leader, TMC has pioneered in robotic-assisted surgery, stem cell therapy and regenerative medicine, leukemia and lymphoma management, customized wellness, liver transplantation and telecardiology.At the heart of TMC’s service philosophy are new paradigms of hospital care addressing the entire continuum of health needs, and the patient as an equal, informed and empowered partner in the pursuit and preservation of health. TMC is one of the few hospitals in the Philippines accredited by the Joint Commission International (JCI), the world’s most prestigious accrediting body for international health care organizations. Excelion Technology Inc.is the first to provide a Real-Time Hospital Measurement System™(RTHMS™) for the healthcare industry. The combination of Excelion’s proprietary and highly scalable Accreditrack™ software suite, sensing system deployments, and Lean process improvement expertise enables the automated measurement of key hospital performance indicators. 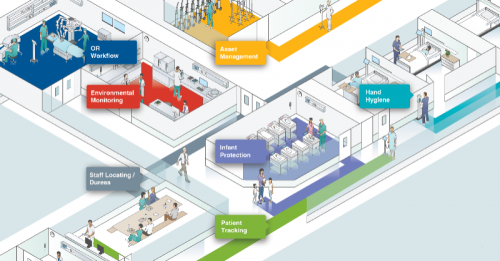 Excelion provides continuous visibility into key hospital processes such as hand hygiene compliance, infection control, and patient flow to drive measureable and sustainable change. Excelion’s Real-Time Hospital Measurement System™ acts as a hospital’s “air-traffic-control”, providing unparalleled visibility where none existed before. Real-Time Hospital Measurement System™ and Accreditrack™ are registered trademarks of Excelion Technology Inc.